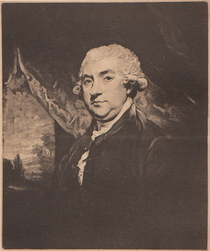 JamesBoswell is a Legacy Library. Legacy libraries are the personal libraries of famous readers, entered by LibraryThing members from the Legacy Libraries group. » James Boswell's legacy profile. JamesBoswell is also an author. » See James Boswell's author page. The beauties of the British senate: taken from the debates of the Lords and Commons, from the beginning of the administration of Sir Robert Walpole, to the end of the second session of the administration of the Right Hon. William Pitt: ... To which is prefixed, the life of Sir Robert Walpole. About meI am the author of what is called by many, "the greatest biography written in English." I am referring, of course, to Boswell's Life of Samuel Johnson. If I may say so myself, Chauncey Brewer Tinker wrote a pretty good biography of me, as did Frederick A. Pottle. Mary Hyde, bless her heart, wrote The Impossible Friendship: Boswell and Mrs. Thrale. Hester and I were both friends of Samuel Johnson, but we just didn't see eye to eye. Here is a list of books by and about me. There are two excellent websites about me: David Frandzen's website. and Ed Schaeffer's website. Ed's website was with Geocities and is no longer online, but can still be veiwed via The Wayback Machine. In his book, History of the County of Ayr, James Patterson provides a history of my family. When you click on to the upcoming link to Patterson's book, please scroll up to the bottom of the previous page where the history of The Boswells of Auchinleck begins. Donald R. Eddy included the above paragraph in his introduction to the sale catalogue of my library published by Oak Knoll Books. In 1993, Oak Knoll published this catalogue along with those of Samuel Johnson and Mrs. Piozzi. There are at least eleven copies of the original 1825 sale catalog, one of which is owned by Oak Knoll Books. Surround myself with books, I did. It took Sotheby's ten days to sell the books listed in the 1825 catalogue, beginning on Tuesday, May 24th, 1825 and ending on Friday, June 3rd, 1825. It took LT cataloguers 13 months, beginning in October 2008, to catalogue the books listed in the 1825 catalogue. Most of the cataloging was performed by larxol, aynar, and moibibliomaniac. There are many scholars today who believe the majority of books sold at this auction in 1825 belonged to my son, James Boswell the Younger. Indeed, only the books I inscribed with my own hand are the only books one can say belonged to me for sure. This auction catalogue, known as "Bibliotheca Boswelliana," includes the books belonging to my sons, James Boswell the Younger and Sir Alexander Boswell. It also includes books formerly owned by my father, Alexander Boswell, Lord Auchinleck. Additionally, my son, James, was a good friend of Edmond Malone, and acquired some of his books after Malone's death in 1812. The catalogue also includes books printed by my son Alexander at the Auchinleck Press. Alexander was mortally wounded in a duel in March 1822. Whenever possible, Library Thing cataloguers of the 1825 Auction Catalogue provided the names of the original purchasers in the Comments Section. If the LT cataloguers couldn't read the names, they entered purchaser's name unreadable. Additionally, there were lots where the purchaser's name was not recorded at the time of the auction, either because the auction recorder didn't get the information, or because the article went missing between the time the catalog was prepared and the time the auction was conducted. These articles were identified by the phrases, Purchasing information not recorded, or Purchaser's name unrecorded in the Comments Section. Manuscripts, personal correspondence and paintings were also sold at the auction, but were not be included in the Library Thing . In November 2009, the Boswell cataloguing team completed the cataloguing of the 1825 Auction Catalogue, commonly known as Bibliotheca Boswelliana. Thanks to the following people, the Boswell Library on Library Thing was significantly enhanced in 2010. In April 2010, Paul T. Ruxin provided moibibliomaniac with scans of the Boswell books in his library, together with scans of the owner inscriptions. These books have been catalogued. In April 2010, Terry Seymour joined the Auchinleck Advisory Group and began providing provenance information on copies of books belonging to the Boswells. The members of the advisory group are Jim Caudle, Paul Ruxin, and Terry Seymour. Jacob Sider Jost's 2008 lists of the Boswell Chapbooks. (Jing-fen Su and Jacob Sider Jost are Yale graduates who have extensively researched the Boswell Library). Jing-fen Su revised Eleanor Terry Lincoln's list of books which were contained in Boswell's Auchinleck Library in 1770. Lincoln included this list in the appendix to her 1938 thesis, "James Boswell, Reader and Critic." Jacob Sider Jost provided a catalogue of Vols 2 and 3 of Curious Productions, a collection of chapbooks and broadsides James Boswell first started acquiring in 1763 (Vol 1 is missing). Sider Jost also provided a spreadsheet of the 55-volume set of chapboooks and broadsides collected primarily by his son Alexander Boswell. Jacob Sider Jost's spreadsheet of the 55-vol set will not be catalogued on Library Thing, but can be viewed online here for your viewing pleasure. Cataloguing of the 1893 Auchinleck Catalogue commenced in May 2010. The members of the Auchinleck Cataloguing Group were Jerry Morris, Dave Larkin, and Anna Ritchie. While the 1825 auction catalogue contained books primarily from the library of James Boswell the Younger, the 1893 Auchinleck Sale Catalogue contained books from the library which was originally formed by Lord Auchinleck. It contained books signed by either Lord Auchinleck or James Boswell, some but not all of which were identified as such by the auction cataloguer. These books were bequeathed to Mrs. Mounsey and sold at auction in London in 1893. In October 2010, Terry Seymour paid for the digitization of the Hydes' annotated copy of the 1893 Auchinleck Sale Catalogue. The names of the purchasers were then included in the Library Thing catalog of the 1893 Auchinleck Sale. On June 10, 2011 the cataloguing team of Jerry Morris, Dave Larkin, and Anna Ritchie completed the cataloguing of the 1893 Auchinleck Sale. It took Sotheby Wilkinson and Hodge three days to sell the books listed in the 1893 Auchinleck SaleCatalogue. It took the LT cataloguing team 13 months to catalogue the books sold in the sale. There were 1194 completed entries. There were 23 unidentified entries in which bibliographical records of copies of the books could not be found. Additionally, there were approximately 436 books in the Auchinleck Sale which were not identified by title, but by the dreadful phrase, "and others." In June 2011, the cataloguing team began cataloguing the 1810 Catalogue of Greek & Latin Classics in the Auchinleck Library, the Sotheby's Catalogue of the 1916 James Boswell Talbot Sale, and the Auchinleck Library items listed in the 1917 Dowell Sale. In 1810, Sir Alexander Boswell received the final decreet arbitral concerning the ownership of his father's Auchinleck Library, and catalogued the Greek and Latin Classics in the library. The Sotheby's Catalogue of the 1916 James Boswell Talbot Sale and the 1917 Dowell Sale contained some of the books from the Auchinleck Library which were not included in the 1893 Auchinleck Sale. In July 2011, the Boswell cataloguing team completed the cataloguing the 1810 Catalogue on Library Thing. In December 2011, the Boswell cataloguing team completed the cataloguing of the Auchinleck items listed in the 1917 Dowell Sale. In January 2012, the Boswell cataloguing team began cataloguing "The C1770 Catalogue of Books belonging to James Boswell, Esq.." The manuscript of this catalogue, written in James Boswell's autograph, circa 1770, is in the National Library of Scotland. In 1938, Eleanor Terry Lincoln included Boswell's Catalogue of Books as an appendix to her thesis, James Boswell Reader and Critic.. In 2008, Jing-fen Su, referred to Lincoln's catalogue in developing her own catalogue of Boswell's books, researching the titles in the BL, ESTC, Orbis, WorldCat and other library databases. When she could not find the exact title, she listed related editions. The Boswell cataloguing team will document any changes from the Su catalogue in their listings. In Feb 2012, the Boswell cataloguing team completed the cataloguing of the Auchinleck items in the 1916 Sotheby Sale. In July 2012, the Boswell cataloguing team completed the cataloguing of the C1770 Catalogue of Books Belonging to James Boswell. In July 2012, the Boswell cataloguing team began cataloguing Boswell's Curious Productions, utilizing William Coolidge Lane's 1905Catalogue of English and American chapbooks and broadside ballads in Harvard College Library for Vol 1, and Jacob Sider Jost's Curious Productions: A Census of the Chapbooks in James Boswell’s 3-volume collection from the 1760s, Volumes 2 and 3. Jacob Sider Jost also created a spreadsheet of the 55-Vol collection of chapbooks and broadsides compiled primarily by Alexander Boswell, which can be viewed online here. Sider Jost was awarded his doctorate and is currently an Assistant Professor of English at Dickinson College, Carlisle, Pa..
On Aug 30, 2012, the Boswell Cataloging Team completed the cataloging of Boswell's Curious Productions, and declared the cataloging of the Boswell Library complete. Tōn Diōnos Rōmaikōn historiōn eikositria biblia = Dionis Romanarum historiarum libri XXIII, à XXXVI ad LVIII vsque by Cassius Dio Cocceianus.